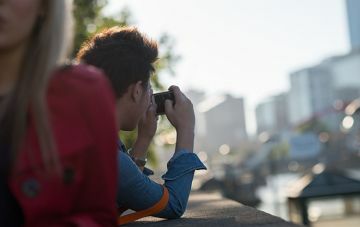 Our international study programs with Monash Abroad will enable you to gain valuable skills, make amazing personal and professional connections and add value to your CV with exchange and study abroad opportunities. If selected after a competitive application process, you will get to spend time learning about the health care system in Sweden. This opportunity will undoubtedly help develop skills for the international market and provide not only the opportunity to travel but also great experiences. The exchange programs are offered as four week placements in a wide range of clinical settings during November/December. To be eligible for this international opportunity you will need to be in your third year and studying units NUR3004 (BN) or NUR3005 (BN/BM). Monash covers travel insurance for the entire time you are away, including extra travel after your clinical placement has concluded, however, you are responsible for all costs associated with your travel including: flights; all transport; food; and accommodation (host universities can assist with booking accommodation). The Karolinska Institutet (KI) is a world renowned medical university and home to the Nobel Prize. And offers Sweden’s widest range of medical courses and programs. Stockholm, the capital of Sweden is the cultural, media, political and economic centre of the country. It also has prized museums and is well know for its decoration of train stations. The Karolinska Institutet is situated over two campuses, Solna and Huddinge which are in neighbouring counties, both are a 10-15 minute walk into the city. KI also has established cooperation with several hospitals in and around Stockholm city. Clinical placements can be in a range of settings allowing you to really gain a real insight in the Swedish health care system. Authorised by: Chief Marketing Officer, Strategic Marketing and Communications. Maintained by: FMNHS Webmaster Team. Last updated: Oct 2018.